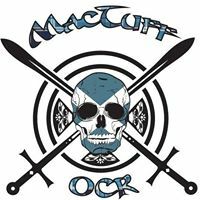 No reviews yet for Fife United Kingdom MacTuff Kids 2018. Click here to be the first! Unwrap the family from the cotton wool and develop the potential though obstacle course running together. 3k of a true family test through mud, water and obstacles to suit all abilities. MacTuff Kids aims to challenge both child and adult by having 2 obstacles the same but different heights. This enables both adult and child to get the best value for money and the best possible experience to earn your Medal. Join to this race in family and enjoy it with team work. Please see our obstacle course race discount & promotion page for all the latest discounts, promos, promotions, discount codes, and coupon codes for Fife United Kingdom MacTuff Kids 2018. There also may be one listed at the top of this page.